Reliability Predictive Modeling - This is a Chapter from our book on understanding System Reliability and predictive modeling such as Mil Std. 217 and Telcordia. Accelerated Testing - This is a Chapter from our book on accelerated testing. Here you will find an overview of all the main equations used in accelerated testing. Miners Rule for Batteries - Miner’s rule of cumulative damage in chemical cells (undergoing voltage-charge and voltage-discharge cycles) allows for the prediction of the number of cycles of different strengths required before a battery fails. How Aging Laws Influence Parametric and Catastrophic Reliability Distributions, Reliability and Maintainability Symposium, January 2017. In this paper we describe how these physics of failure aging laws influence reliability distributions, not only the type of distribution, but the rate of failure as it relates to the aging rate. 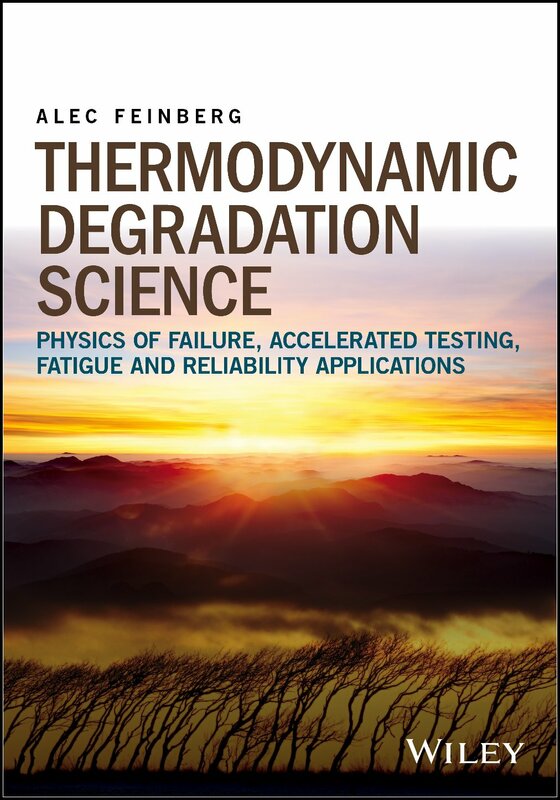 We illustrate how one can predict parametric failure rates based on the physics of failure aging laws when known. Thermodynamic Damage Measurements of an Operating System, Reliability and Maintainability Symposium, January 2015. Chi-Squared Accelerated Reliability Growth (CARG) RAMS and IEEE Xplore, January 2013. 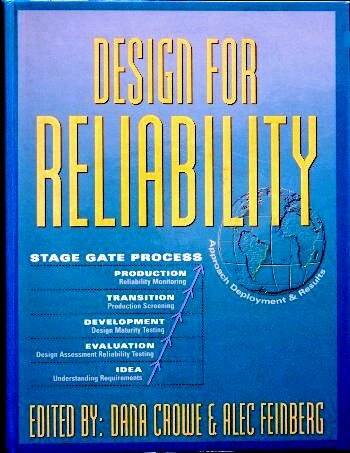 Accelerated Reliability Growth - Stage Gate Method - In this paper, an Accelerated Reliability Growth (ARG) Stage-Gate (SG) process is described that is used for product development of assemblies, hybrids, and discrete components. Note, traditionally, reliability growth science is applied at the assembly level. Here we see how it makes sense for this commercial sector. On Thermodynamic Reliability Engineering, IEEE Transaction on Reliability 49, no. 2, p. 136. June 2000. Connecting Parametric Ageing to Catastrophic Failure through Thermodynamics, IEEE Transaction on Reliability 45, no. 1, p. 28., March 1996.